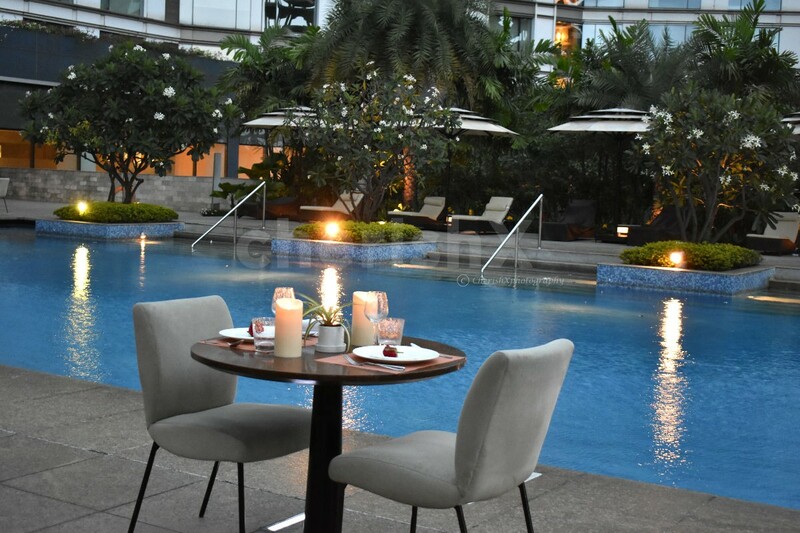 Celebrate all that summer has to offer by taking your loved ones out for a private poolside dinner. 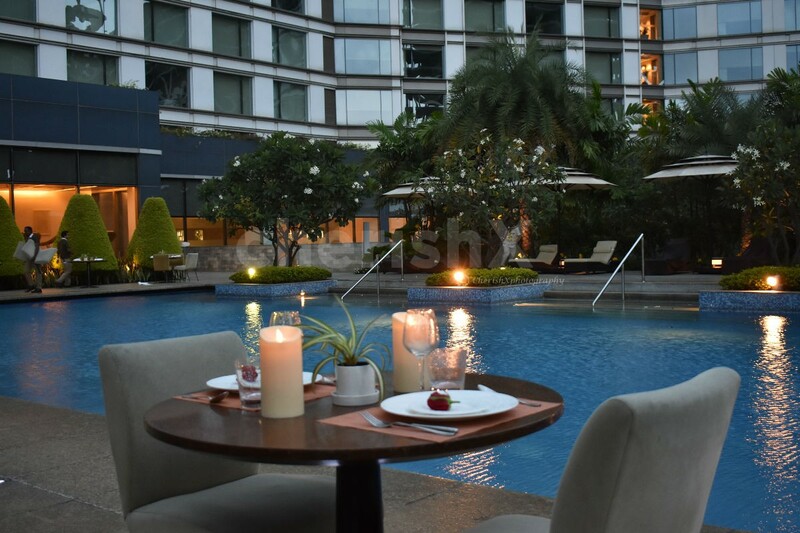 Ambrosial food, refreshing drinks, 5-star hospitality and lots of romance awaits you in this beautiful poolside. This unique gastronomical experience consists of a 4-course set menu with veg and non veg options that will delight your senses. The ambience of the place is you as much impressive as the delectable food. Your experience would commence with welcome drinks followed by a delicious 4 course dinner. Be assured that the impeccable service will leave you thoroughly satisfied. Your venue will provide you with 5 star hospitality and the ambiance wouldn't be anything less. In a complete quaint atmosphere under the glittering stars feel romance coming to life. Your venue is just minutes away from Yeshwantpur Railway Terminus and a 50-min drive from Kempegowda International Airport. As you reach the venue give your host a call and you will be greeted warmly as cherishx guests. Add sweetness to the evening with a delectable cake or if your partner is fond of live music throw in a surprise with our special guitarist.